As part of Library Loves Archives month we are running three sessions (an extra one just added) offering students and staff the chance to find out more about the College’s archival holdings. 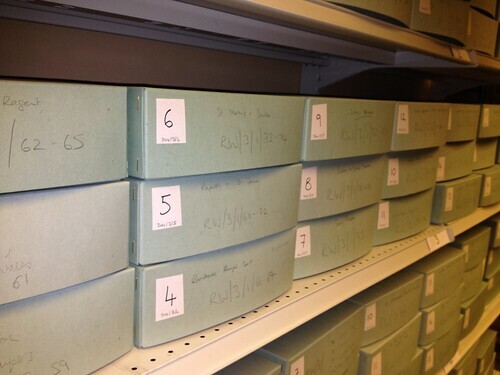 The archivist will show you a selection of our original material from the College archives and theatre collections. It’s also a chance to find out how we look after our historical collections. This is a great opportunity to come up and explore the 3rd floor of Founder’s regardless of whether you have a research topic in mind or not. All you need is some curiosity! The session on the 12th November is now sold out but there are still places for the sessions on Wednesday 20th November at 11am and Monday 25th November at 3pm. Click on the dates to book.